It has been said that cheap can be quite expensive. Therefore, if you choose to repair the transmission on your own, you may end up paying more when you ruin it even more. Therefore, in case your vehicle’s transmission has issues, you should take it to the repair shop so that they can fix it properly. The price for this repair will definitely be less than the price of fixing or replacing the parts of a transmission that has been ruined completely. Knowledge and expertise are big reasons to go to shop. 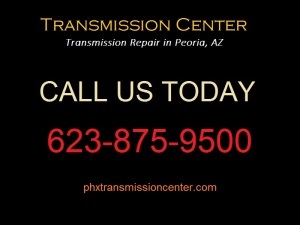 Your transmission may be experiencing problems, but you may not know what the exact problem is. Fiddling around with it could cause more harm than good. However, the experts at the repair shop know the signs and symptoms of various transmission problems. They have the knowledge, expertise and experience to properly diagnose the problem. They can also identify various warning signs, and fix the problem before it becomes a big issue. Therefore, as a car owner, you should take your vehicle to a repair shop where the professionals will accurately troubleshoot the problem. The professionals at most car repair shops have invested in the right equipment and tools for all repair jobs. Most of these tools are usually expensive to buy. You may never invest in a transmission spring compressor or a linkage removal tool, unless you want to become a mechanic. Car owners who do not have these equipment may ruin their vehicles if they try to fix the transmission using any other tools. If you do decide to purchase these pricey tools, you will realize that the total cost of repairing the car on your own is significantly hire than taking the vehicle to an auto repair shop in Peoria, AZ.